The team Cougar Bites raised $98,664 – nearly one-third of all money raised – during this spring’s Wolffest. See more photos. 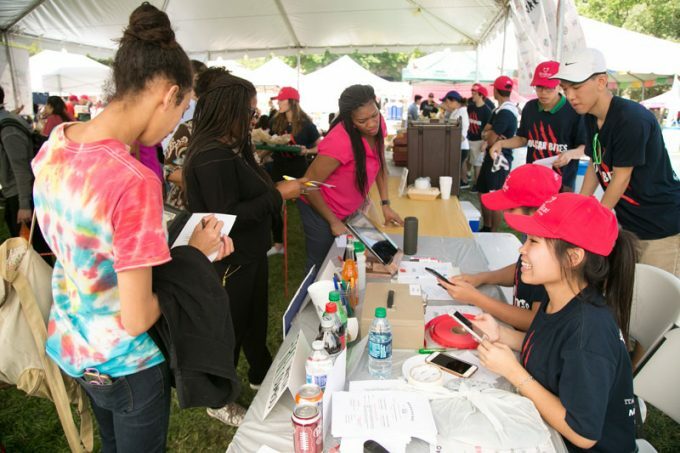 Entrepreneurship students at the Bauer College of Business came together this spring for Wolffest, a three-day pop-up food festival on campus, raising a record-breaking $315,762 for scholarships to support the college’s Cyvia and Melvyn Wolff Center for Entrepreneurship. The annual event is the senior capstone project for Wolff Center students, designed for upperclassmen to get hands-on startup experience. Student teams are in charge of every aspect of the competition, from contacting sponsors and setting prices to operations and customer experience during the event. This year’s Wolffest teams raised the highest combined total in the history of the event, which has been part of the program since 2002 (known until 2008 as BurgerFest). Cougar Bites, the highest earning team, raised $98,664, nearly one-third of the total.